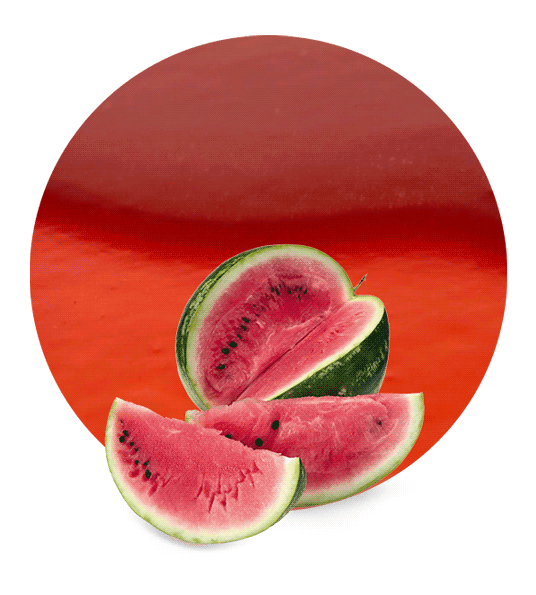 Our Watermelon Juice Concentrate is made from sound and mature watermelon from the Citrullus Lanatus variety. 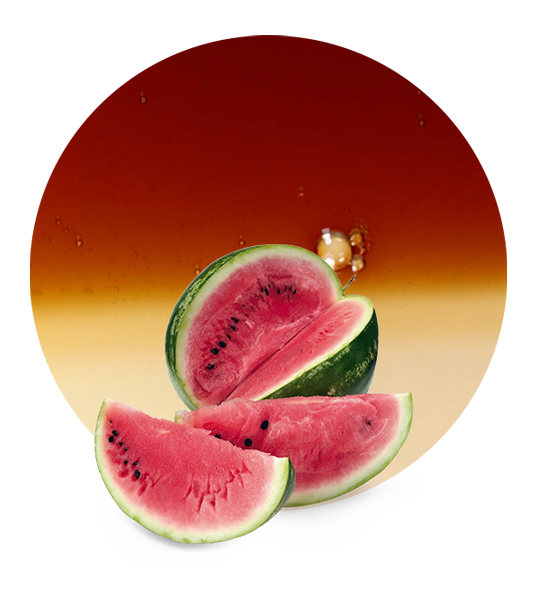 Watermelon Juice Concentrate is ideal for the production of soft drinks, juices and fruit beverages, and any food product such as cakes, sweets, jams, syrups, yogurts, or ice cream. 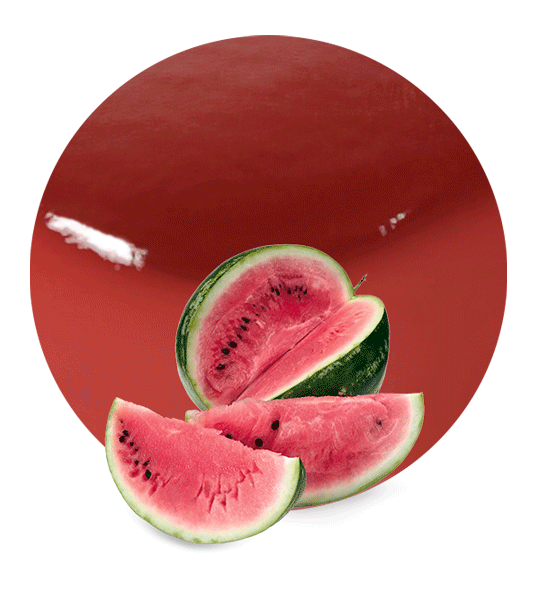 Watermelon contains 92% of water, but this refreshing fruit is soaked with nutrients. 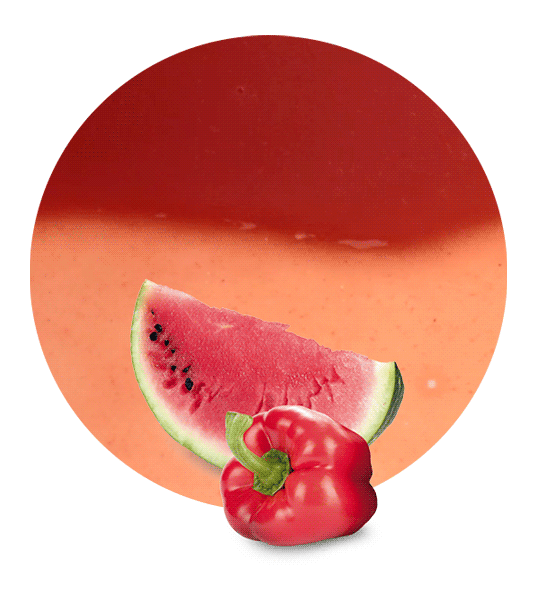 It is a source of vitamin C, A, B6, antioxidants, fiber, amino acids, some potassium and lots of lycopene. Thereby, watermelon is one of the healthiest fruits. To avoid losing those properties, we send our Watermelon Juice Concentrate frozen, and also recommend storing it frozen at around -18 degrees Celsius. Watermelon is a very delicate fruit, and it needs to be taken care of in order to maintain its quality. Due to the composition of the watermelon, it has many medicinal benefits, for instance, it lowers the risk of heart disease, it hydrates, improves blood flow, helps reduce accumulation of excess fat, encourages a healthy digestive tract, keeps skin and hair moisturized, promotes collagen growth, helps reduce muscle soreness and heart rate, reduces hypertension, lowers blood pressure in obese adults, protects the bones, prevents from prostate cancer, and has antioxidant and anti-inflammatory properties. All raw fruit materials e.g., watermelons, are processed in modern production facilities, which combined with optimized logistics solutions result in us being able to offer our customers the best service and product quality at the best prices. Apart from Watermelon Juice Concentrate, Lemon Concentrate has been supplying for many years other fruit juice concentrates, such as orange juice concentrate, white grapefruit juice concentrate, pink grapefruit juice concentrate, lemon juice concentrate, mandarin juice concentrate, white grape juice concentrate, red grape juice concentrate, pineapple juice concentrate, strawberry juice concentrate, apple juice concentrate, and pomegranate juice concentrate.